great purchase! super light weight and warm. I love the style and fit. 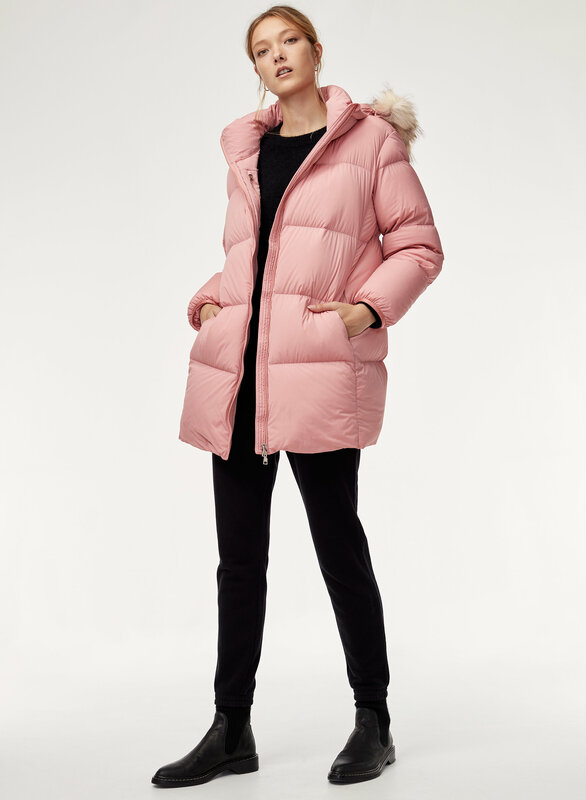 It's perfect for cold Vancouver winters, although I thought it would be warmer. I just got the jacket and some small feathers are already coming out, which is unfortunate. Overall I'm happy with it. 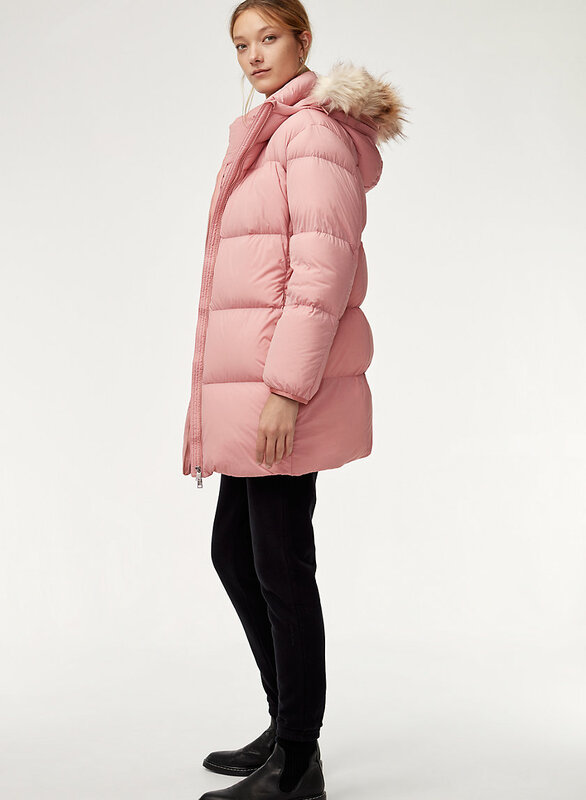 Love the mid-length style with the detachable faux fur hood. 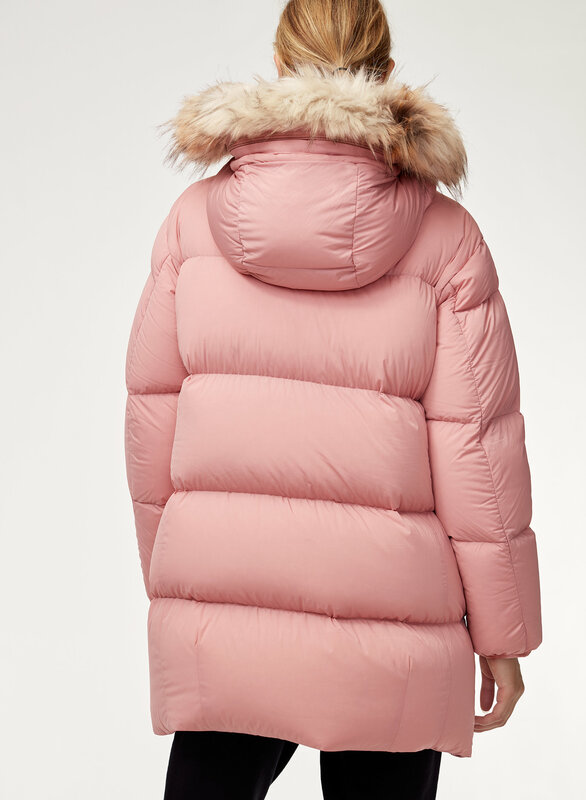 Although, I wish the front zipper wasn't exposed. 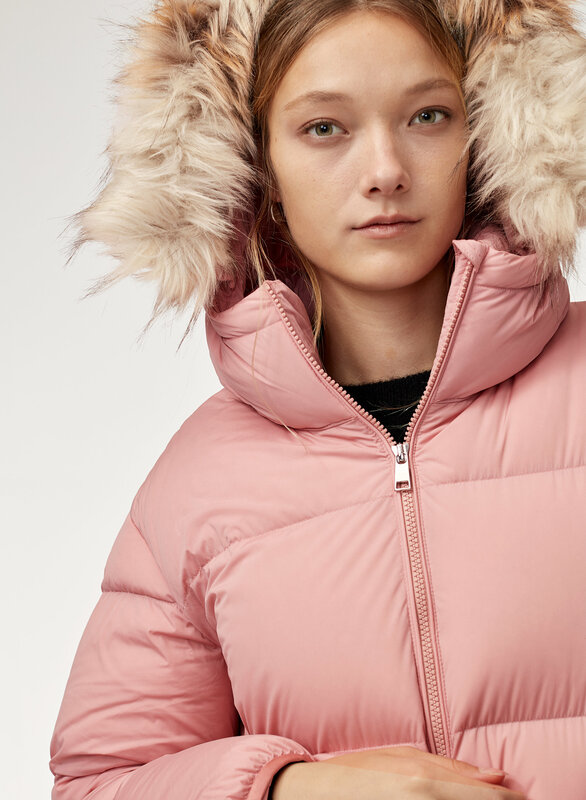 This puffer is definitely more on the shiny side than matte. 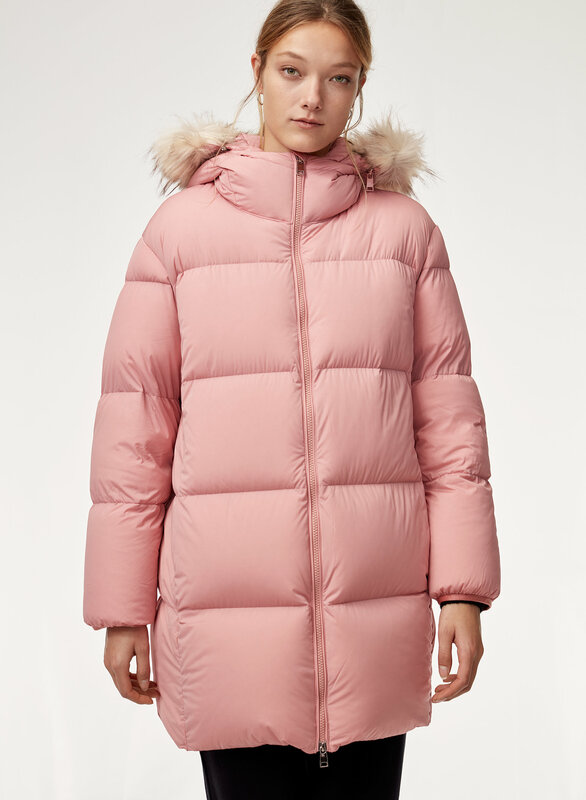 This puffer was sadly way too long and wide on me. It was almost 2 sizes too big. 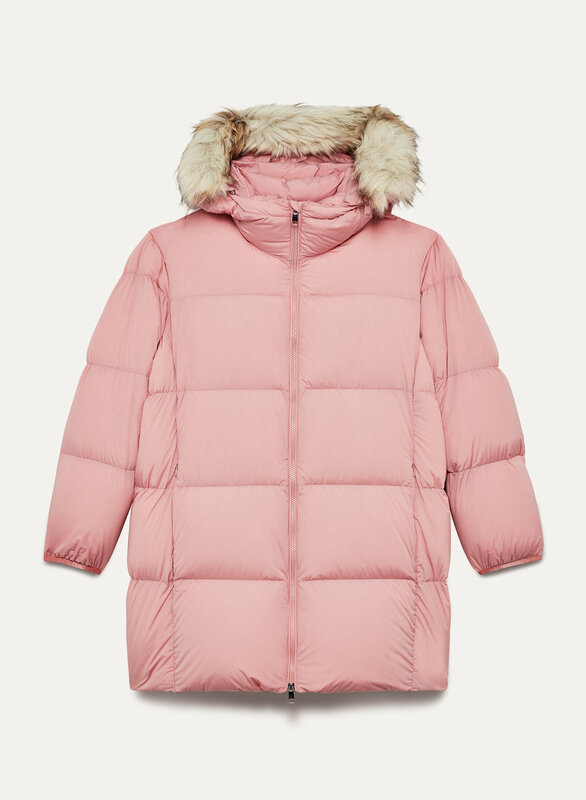 The parka is great but I ended up returning it as it looks huge on a petite frame.